Remember to park safely around schools! 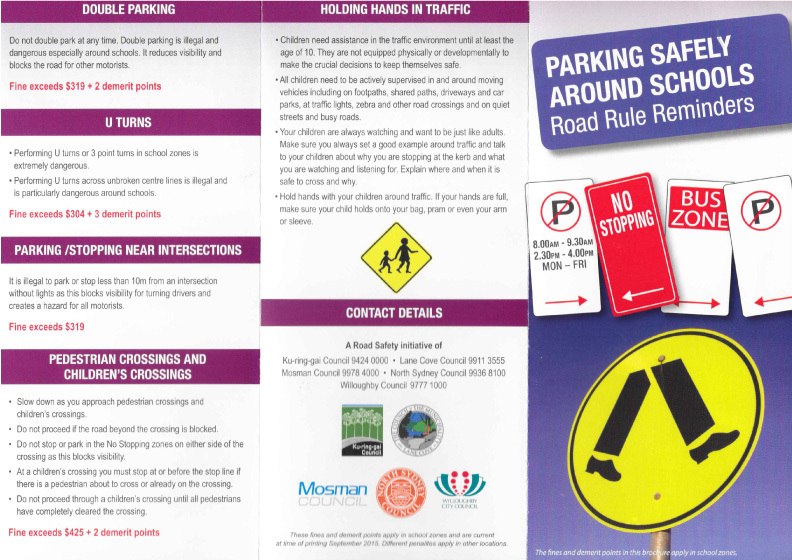 We implore you to comply with all parking restrictions and speed limits around the school. We regularly revise road and pedestrian safety with the children, but your attitudes and behaviours provide an even stronger message. Students are told to enter and leave the school grounds by a pedestrian gate. It is very dangerous using a vehicle driveway and deliveries are made to the car parks at all hours. Please do not use the Grosvenor Road and Pacific Highway car parks between the hours of 7:30am and 4:30pm. A number of potentially dangerous incidents have been reported recently. Users of LAC may use the car park outside those hours but please be aware that small children may be around at any time. Several students are riding bicycles, skateboards and scooters to school. This is excellent provided they dismount once they are on school grounds. It seems that some students have a mobile phone at school. This should be for communication and safety when traveling to and from school. There is, however, no need for a mobile phone during school hours and a camera phone at school can be problematic. Any child who brings a mobile phone school should give it to Mrs Stewart in the Front Office when they arrive and pick it up again at 3:00pm. Thank you for your cooperation in supporting our safety rules. Accidents can always happen, but we will do everything we can to make Lindfield Public School a safe and happy place to learn. There is no sign posting for KISS & DROP however the “No Parking 7am-9am” area just before the hall and extending towards the lights on the highway is the KISS & DROP zone. Parents and carers are legally able to stop their car in this area for up to a maximum of two minutes. If they leave their vehicle they must be no more than three metres from that vehicle. This simply means you can stop and unload children, remove bags, instruments, etc. from the car, say your farewells and then leave. You are not able to leave the car and walk children into the school. If this area is used correctly it will make it easier, safer and quicker for all concerned. Please continue to make the school safer! 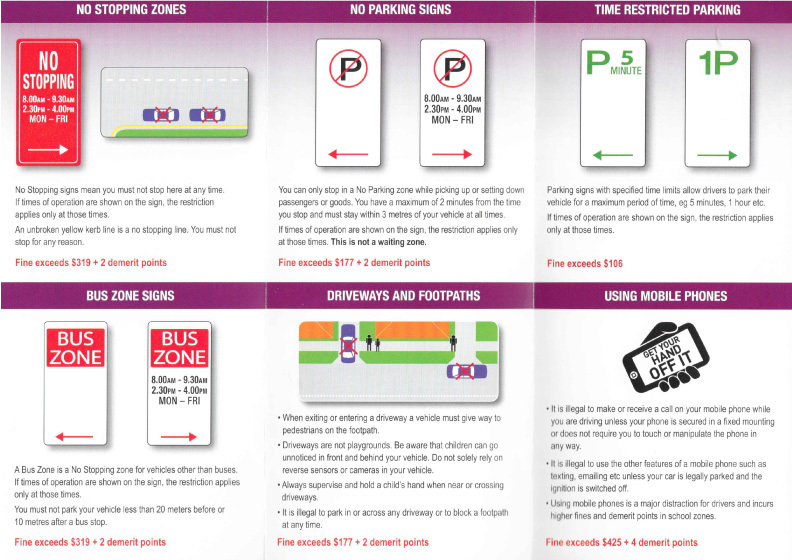 School car parks can only be accessed by authorised vehicles between 7.30 a.m. and 4.30 p.m. on school days. After 4.30 p.m. they can be accessed by school parents and others visiting the school. Please ensure we do the right thing for the safety of everyone’s children. Please ensure these areas are only used for dropping off or picking up children who are waiting. Drivers who wait in a “No Parking” zone make it difficult for people trying to use this area for the purpose intended. They also face a fine exceeding $143 and 2 licence demerit points.